Since 2006, 10 out of 16 bids for new auto plants went to Mexico and the rest to the Southern US. Canada, one of the top 10 car manufacturers in the world, is an attractive place for automotive vehicle and parts manufacturers to do business. Five big automakers – General Motors, Ford, Fiat Chrysler Automobiles (FCA), Honda and Toyota build more than 2 million vehicles here annually. It’s home to one of only five machine tool die and mould clusters in the world with a highly-skilled, highly-educated workforce, and there’s R&D expertise in advanced technology, innovation artificial intelligence (AI) and autonomous vehicles. 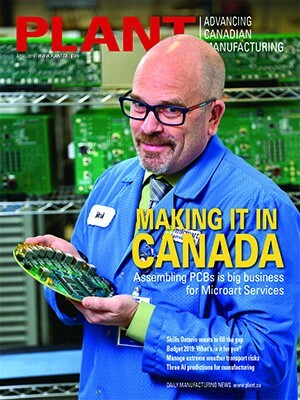 Yet since 2006, 10 out of the 16 bids to build new automotive manufacturing plants in North America were won by Mexico, with the remaining six going to the Southern US, according to automotive sector guru Ray Tanguay’s report Drive to Win, prepared for the Canadian Automotive Partnership Council. Automotive industry pundits anticipate the trend will continue with investment numbers to be in the “record lows” when reports are released at the end of the year. This represents a lost opportunity for Canada. “There was a day when you could build an automotive manufacturing plant for $100 million. Now it costs $2 billion to $3 billion,” says Dennis DesRosiers, who has been a consultant to the industry for more than 48 years. Canada’s share of North American production has decreased from 17% in 2010 to 13% in 2016. Although parts and vehicle production has risen steadily since 2009 to nearly pre-recession levels, employment has not recovered the same way. Canada is no longer the lowest cost jurisdiction to build cars. This despite the fact Canada punches above its weight, producing 2.4 million vehicles annually. It’s the second largest export sector, contributing $86.4 billion to the economy, with more than 95% of the vehicles going to the US. 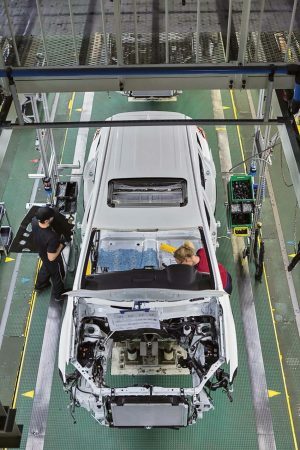 Eleven assembly lines and 700 parts suppliers produce a vehicle every 13 seconds. Canada boasts some of the best quality plants in the world, receiving three out of 10 J.D. Power awards recognizing excellence in manufacturing. 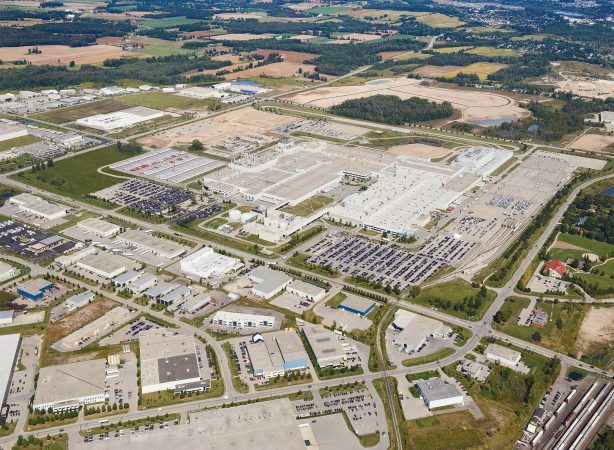 The industry employs 126,900 people – 43,200 in assembly plants and 83,700 in automotive parts production, and Ontario is the second largest IT region in North America, leading innovation in electrical and autonomous vehicles. So, why is Canada losing out on billions of dollars of investment? To some extent, blame NAFTA renegotiations and the threat of 25% tariffs on Canadian automotive exports to the US, says DesRosiers, principal of DesRosiers Automotive Consultants in Richmond Hill, Ont. The last two years have seen only $3.2 billion in new investments, arguably just enough to maintain the automotive footprint, not to expand it. These investments have been mainly for plant re-tooling or for R&D. American incentive programs have played a large role in attracting dollars to southern US states, particularly when the Canadian dollar was strong (2012 to 2015). DesRosiers says subsidized energy costs gave Ontario a big advantage for many years. Today’s higher costs aren’t a huge factor because they represent only 2% to 3% of the cost per vehicle. 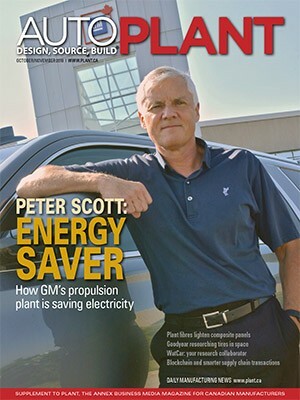 Yet energy is a consideration that matters a lot when manufacturers’ scouts analyze locations for plants. Canada’s healthcare system was once thought to be equal to the big cheques Alabama and other states flashed. While American auto sector employers were paying for retirees’ health benefits, Canada enjoyed an advantage equal to $1,500 to $2,500 per vehicle. “That goes a long way to cover differences in our dollar, and taxes and so on,” DesRosiers says. But that all changed under Obamacare, when the onus for retiree health benefits switched from employers to a new federal system, unburdening American manufacturers. The arrival of the assembly plants led to an expansion of the supply chains in the Southern US and Mexico along with the infrastructure to support further large-scale investments. To attract more automotive money, Myers suggests revamping the tax treatment of investments. “One aspect of US tax treatment that’s changed and made it very competitive is the immediate write off of capital investment.” For Canada, he calls for tax write offs for investments in new technology or equipment to offset that tax advantage in the US (which the Trudeau government addresses in its fall economic update). Governments could do more to lower regulatory compliance costs, too. Myers notes Ontario Premier Rob Ford has said he wants to eliminate the province’s carbon tax. Myers touts the advantages offered by the advanced manufacturing supercluster, which fosters innovation, along with federal and provincial funding support for initiatives, as very important for attracting business investment.” Examples include the Automated Vehicle Network Partnership with the Automotive Parts Manufacturers’ Association, AI initiatives with federal government funding, and similar initiatives made possible with Quebec and Ontario resources as “important for companies to leverage” to attract further investment. He has a point, which is brought into sharp focus by the announced closure of GM’s Oshawa, Ont. plant. It was among five plants (four in the US) caught in a restructuring as the automaker shifts its attention to autonomous and electric vehicles. More than 14,000 jobs will be lost although others with the required technology skills will be hired. If this is the future, Canada’s auto industry needs to figure out how it fits in. Kim Laudrum is a Toronto-based business writer and regular contributor to PLANT. E-mail klaudrum@rogers.com. This article appeared in the November-December 2018 print issue of PLANT.